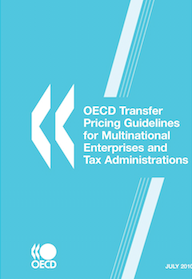 On June 27, 1995 the first draft of the OECD Transfer Pricing Guidelines for Multinational Enterprises and Tax Administrations (“OECD Guidelines”) was published. These Guidelines are a revision of the OECD Report Transfer Pricing and Multinational Enterprises that was published in 1979. Since then, the OECD Guidelines have been continually developed and updated which resulted in the current OECD Guidelines. They have been approved for publication by both the Committee of Fiscal Affairs and the OECD Council on July 22, 2010. The OECD Guidelines provide guidance on the application of the “arm’s length principle” for the valuation, for tax purposes, of cross-border transactions between associated enterprises. In a global economy where multinational enterprises (“MNEs”) play a prominent role, governments need to ensure that the taxable profits of MNEs are not artificially shifted out of their jurisdiction and that the tax base reported by MNEs in their country reflects the economic activity undertaken therein. For taxpayers, it is essential to limit the risks of economic double taxation that may result from a dispute between two countries on the determination of the arm’s-length remuneration for their cross-border transactions with associated enterprises. The OECD Guidelines are considered to be soft law for the OECD member states, which means that it is only binding for the collective goal to be achieved. OECD member states may incorporate the OECD Guidelines into national law. However, each member state is allowed to treat the OECD Guidelines in the way it is preferred and consequently, not all OECD members have accepted the OECD Guidelines as such. Some countries have adopted the OECD Guidelines almost unchanged in their national regulations while others only adopted certain parts of the OECD Guidelines or simply using different terminology.